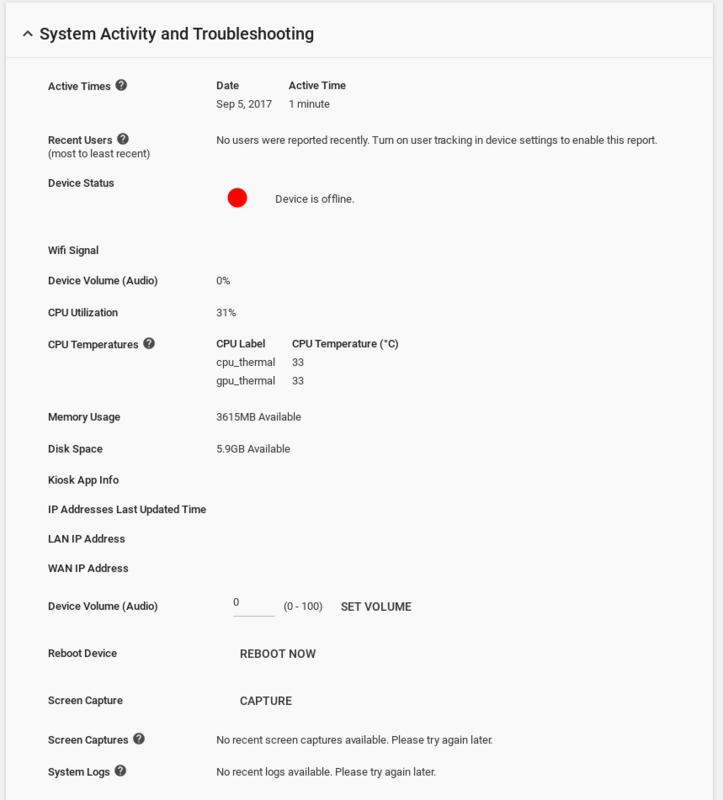 An important feature for troubleshooting device issues, is the ability to remotely reboot a Chrome device or take a screenshot of the screen. This screen has information regarding system information, and troubleshooting features like Reboot Device and Screen Capture. Pressing [Reboot Now] will send a command to the Chrome device to reboot. You will either get a success message, or an error if the device is offline or it’s unable to communicate with the device. The Screen Capture function will return an error if a user has interacted with the Chrome device, pressed a touch screen, used a keyboard or mouse, etc. This is a security feature to prevent sensitive information from being accessed on a user’s screen.